The new range of A4 Monochrome printers from Kyocera have a speed of 40 to 60 pages per minute. 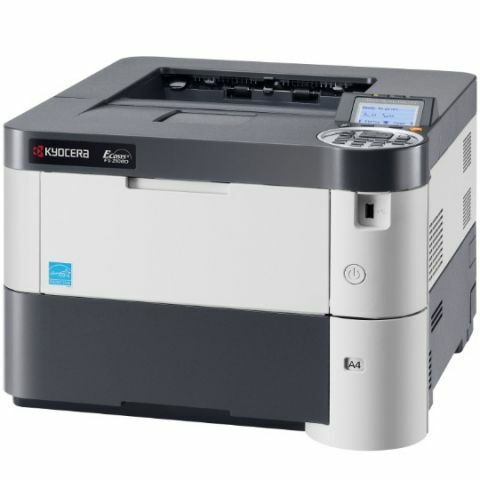 Well known printer manufacturer company, Kyocera has launched it new range of office printers in India. The new range of printers is called ‘Ecosys Range of A4 Monochrome High Productive Office Printers’. This new range of printers can print 40 to 60 pages of A4 sheets per minute. Company claims these are efficient and cost effective. According to Kyocera, the toner has to be replaced only after 3,00,000 to 5,00,000 prints, which takes down the cost per page. The printers also support secure print by IC Card and login password. Kyocera Document Solutions, one of the world’s leading document solutions companies, has announced the launch of its new ‘Ecosys Range of A4 Monochrome High Productive Office Printers’. The new range of compact Ecosys black and white printers by Kyocera brings a new dimension to efficiency at work, besides reducing printing costs. With speed ranging from 40 to 60 pages per minute in A4, these high efficiency network printers are perfect for any high print volume workgroup or department. Thanks to KYOCERA’s proprietary and award winning ECOSYS long life technology that only toner has to be exchanged within the first 300,000 pages or 500,000 pages print, resulting in exceptionally low cost per page and lowest TCO for the entire device life cycle. The experiences of these office printers can be enhanced more with distinctive and scalable business applications, powered by HyPAS –Kyocera’s powerful software development platform. These applications allow your business to further transform and turn your printer into a powerful resource that delivers extraordinary performance and suits your existing document imaging and workflow needs of today, besides delivering the flexibility you need for tomorrow.